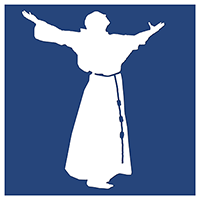 US Franciscans is a sub-conference of the English-speaking Conference of the Order of Friars Minor (the official name of the Franciscan order). You may contact the Executive Secretary of the ESC by email or postal mail. For usfranciscans.org website-specific comments or inquiries, use the form below. A map of the OFM Franciscan churches, shrines, missions, chapels, retreat houses, ministry sites, and educational institutions can be found on this page.